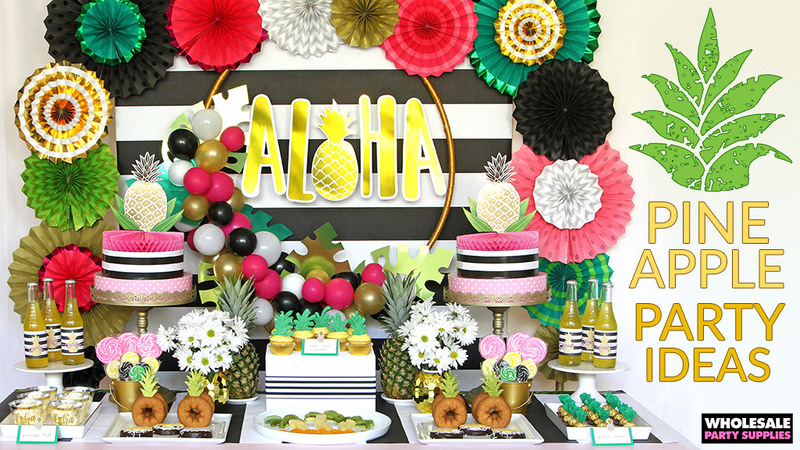 Say hello in a big way, Hawaiin style! 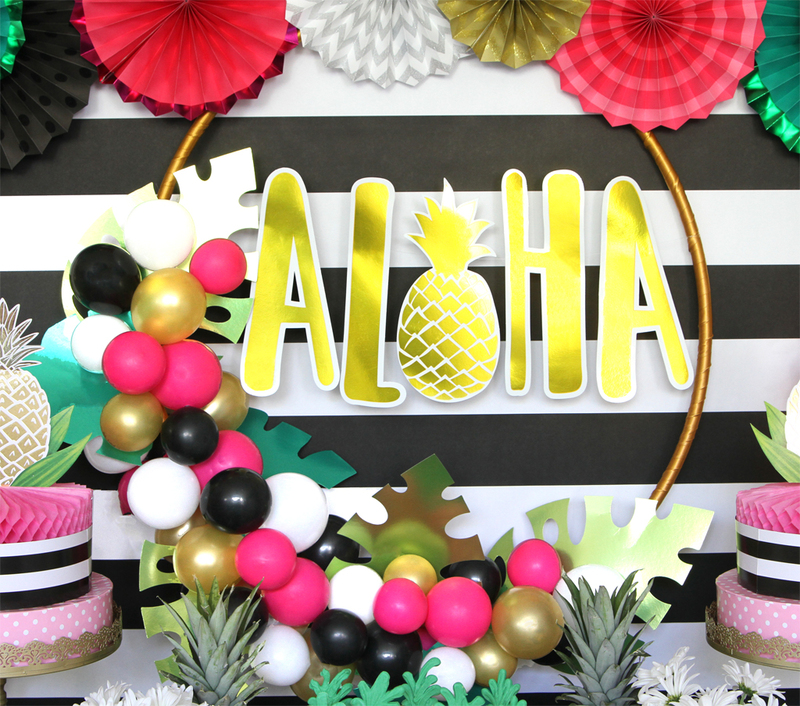 Give your Golden Pineapple party an on-trend showcase piece with this “Aloha” balloon wreath. 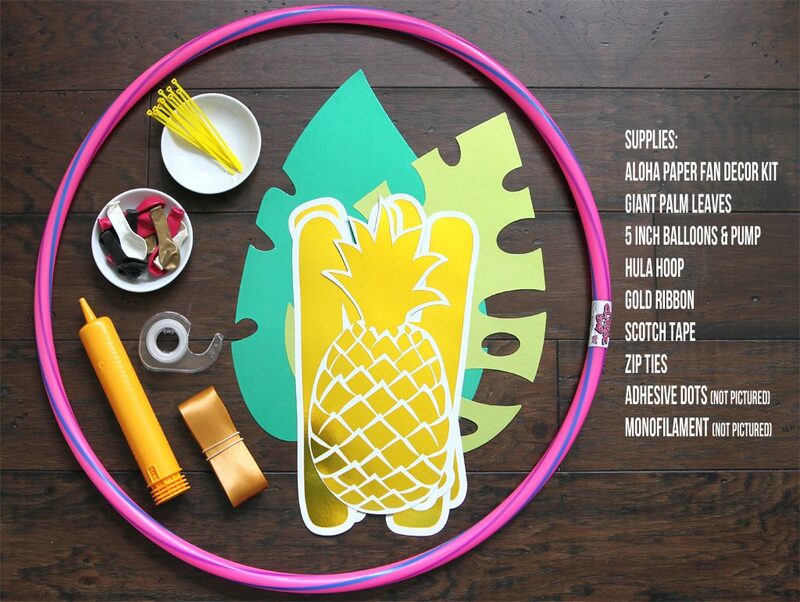 With a few supplies, it’s easy to make a giant impact with your party decorations when you transform a Hula-Hoop into a wreath with a tropical twist. There’s nothing more iconic than a bunch of balloons to celebrate special occasions like buying a new house, welcoming a new baby or hitting a milestone birthday. 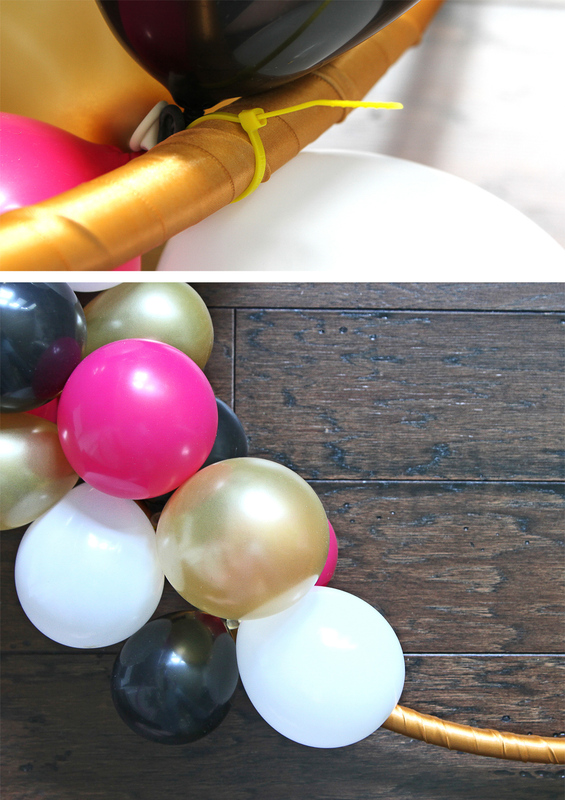 With this bunch of balloons, you can skip the helium. 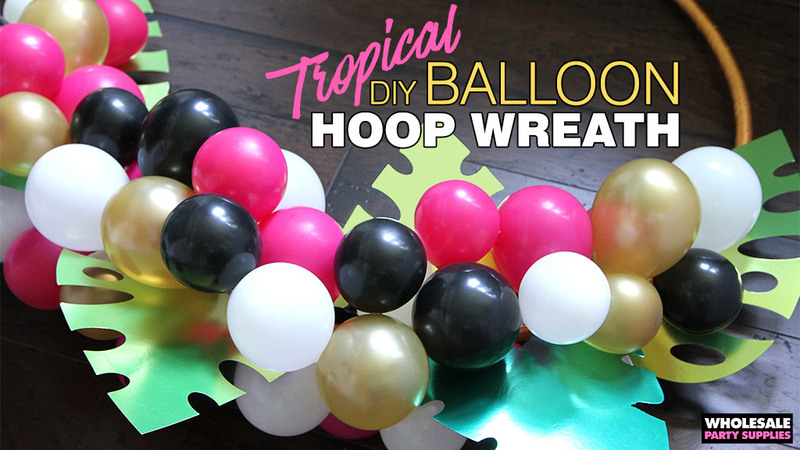 Just because our hoop is adorned with a tropical welcome, the method can easily be used to create a custom version to suit your party theme by swapping out the paper letters and palm leaves. Keep reading to see what you’ll need to get started before you follow the step by step instructions. 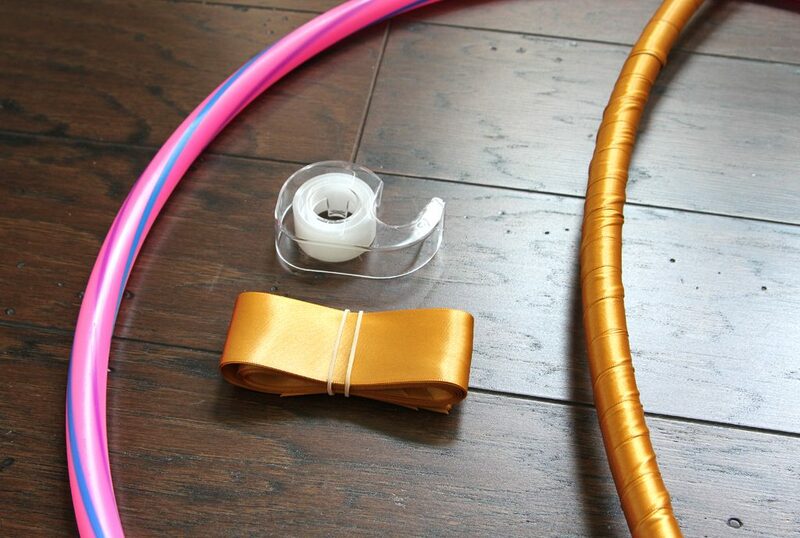 Wrap hula hoop with gold ribbon using Scotch tape to secure. 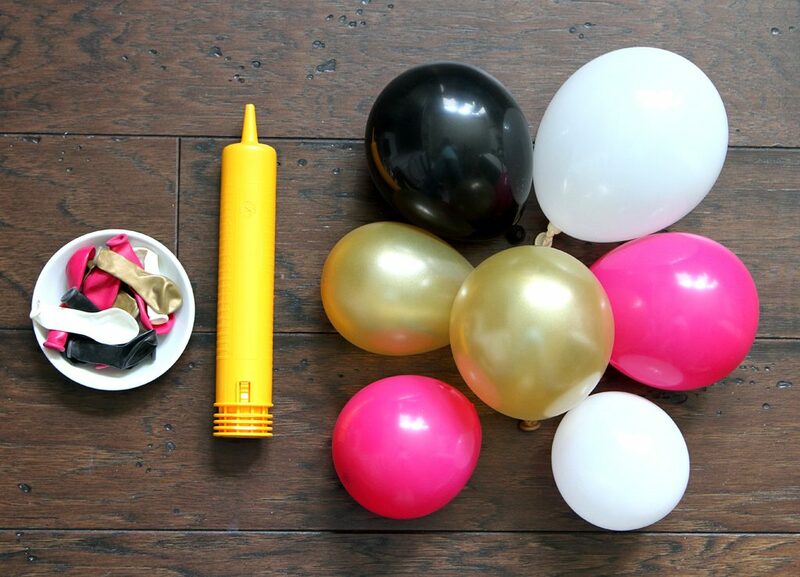 Use a pump to inflate balloons, making sure finished sizes vary. 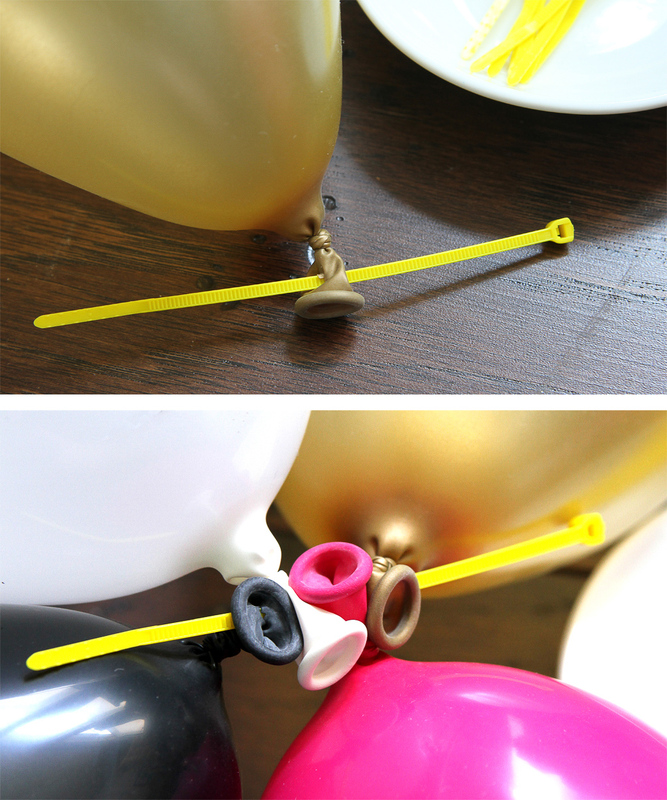 Poke zip ties through balloon tails, grouping varies colors and sizes on one tie. 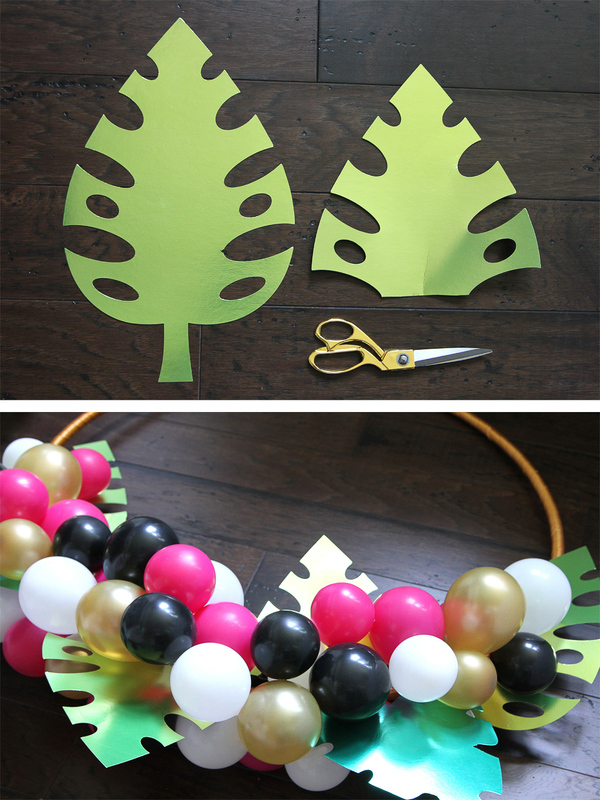 Trim giant palm leaves to fit within balloon groupings and secure using adhesive dots. 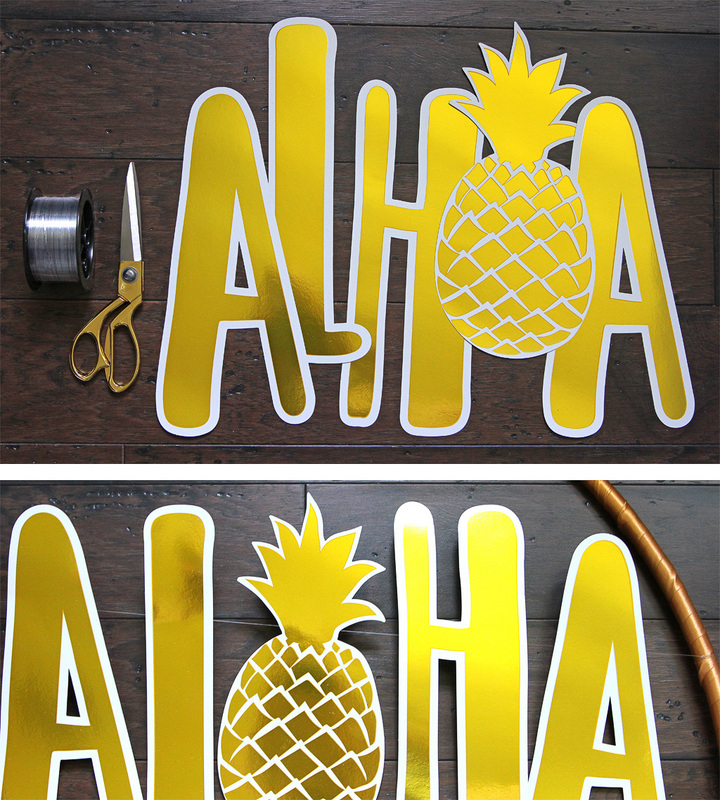 Attach ALOHA letters to a length of monofilament then tie monofilament ends to hula hoop.